When many people head out on the international travel trail, they use this long, extended journey as an opportunity to change their lives or to learn a new skill they have always wanted to try. When all the distractions of life at home are stripped away, it produces a learning environment that greatly enhances the uptake of new knowledge, allowing you to learn new languages, sports, or ways of life much faster and more effectively. 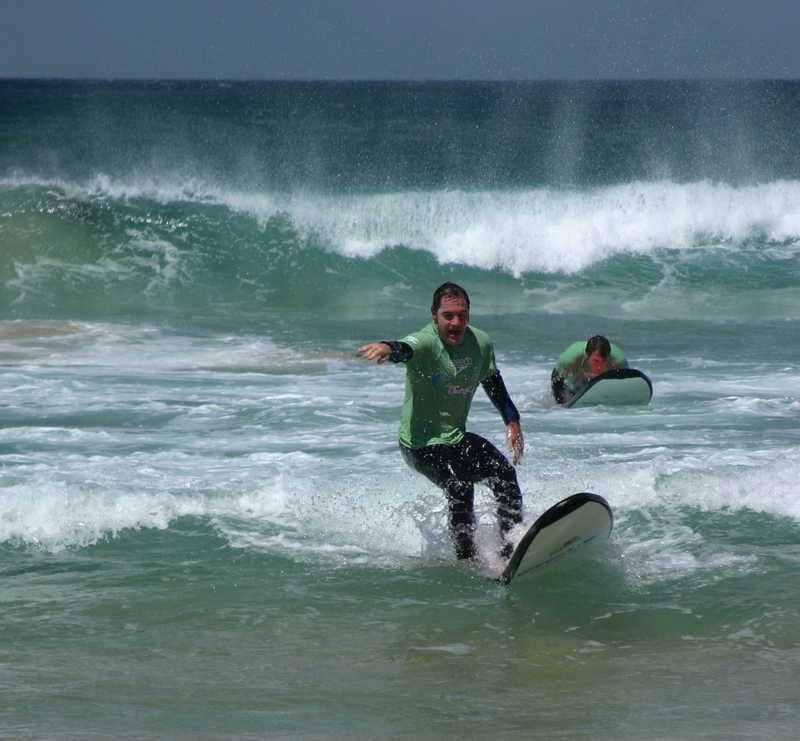 One such sport that many travelers endeavour to learn while seeing the world is surfing. Being challenging, meditative and a great deal of fun on a primo wave day, taking up surfing has the potential to change the life of a student for the better through all the soft skills that it teaches. Now that we have piqued your interest in riding the pipeline, you may be wondering where the best places in the world to learn this sport are. Around the globe, places where swells kick up and travelers congregate are many, but only a few can truly be considered the best. These five locations represent a healthy cross-section this elite group of surfing towns, so if you are passing through these areas, linger awhile and learn how to surf: it will be a skill that will bring you joy and perspective through the rest of your days…! Situated in Mexico at the start of a Central American adventure, and looking for a place that isn’t located on the overcrowded Yucatan (it has terrible surf anyway, so no big loss)? Then heading down to Puerto Escondido on the Pacific coast of Oaxaca is a much better idea, as the massive surf breaks are less suitable for swimming, leaving the place to surfers and backpackers here for the party scene. There are places with gentler waves for beginners in the immediate area, so don’t let the massive ones scare the crap out of you. After eating sand and loving it for most of the day, hitting up Los Tios and having an apres beer will prove to be the ideal way to head your day. If you want to combine the famous friendliness of the Filipinos with world class surfing instruction, heading to La Union on the west coast of Luzon north of Baguio will prove to be a wise decision. Swells here are consistent on the windward shore of Luzon, allowing many major international surfing competitions to take place here throughout the year. Many skilled pros can be found here as a result, and many of them give lessons, so have at it, you ambitious person you! If mixing a deeply exotic culture, a rocking nightlife and an unreal onslaught of perfect waves are all priorities of yours, then basing yourself in Kuta Beach of the island of Bali in Indonesia will suit you best. Freelance instructors and super cheap board rentals line the beach, making the process of learning very affordable for the cash strapped traveler. On nearby Jalan Legian and Poppies II, countless bars and restaurants provide the proper venue for you and your new found friends to celebrate a day of trying, failing and then succeeding! Are you California dreaming this year? The cold, but active waters off places like San Diego provide plenty of places for the traveler exploring America to try their hand at an activity rooted in Californian culture. While many of the point breaks are heavily populated by regulars, or are far too challenging for novices, the waves at popular La Jolla beach provide the perfect venue to learn, with the waves watched like a hawk by lifeguards, and no shortage of schools that will gladly get you off the beach and onto the waves under their skillful tutelage. If you find yourself in Australia, you’re in luck: surf culture is also heavily imbedded in the national identity here, and few places bear this out more than Byron Bay. With wide and long rollers, this place will have you having a lot of fun in a hurry, as instructors will have on the right track in no time, and the fact that dolphins occasionally swim alongside or jump amidst surfers near sunset only enhances the experience.